Magic bars, a chewy one-pan bar cookie, first debuted in the 1960s and have been immensely popular ever since. The cookies are deemed magical for a few reasons. 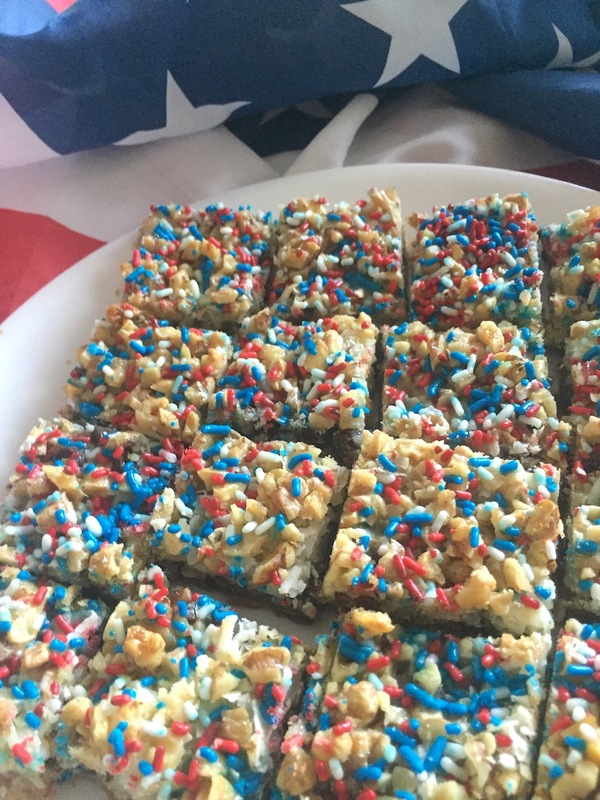 One reason is that these bars are so easy to make. Layers of chocolate, nuts, and coconut are drenched in sweetened condensed milk, stacked directly on a graham cracker crust. Busy cooks also find clean up magical – the bars require little mixing. Even the margarine (or butter) for the crust is melted in the baking pan and combined with the graham cracker crumbs, rather than combined in an extra bowl. Once baked, the ingredients meld like magic into a delicious treat, tasting almost like candy. Equally magical are the variations to this recipe. Ingredients are easily interchanged in a different order or even replaced (a different kind of baking chips for chocolate chips, for instance) and yet the bars continue to live up to their name. Remove the pan from the oven. Sprinkle graham cracker crumbs over melted margarine. With a spoon, combine margarine and crumbs until they are well mixed. Use the back of the spoon to press the mixture evenly into the bottom of the pan. Layer chocolate chips, coconut, and chopped nuts evenly over crust. Pour sweetened condensed milk evenly over bars. If desired, sprinkle cookie decorations (like nonpareils) on the surface to fit the holiday or occasion. Bake bars 25-30 minutes until lightly browned. Remove the pan from the oven and allow it to cool completely on a wire rack. Chill if desired. Cut into bars. 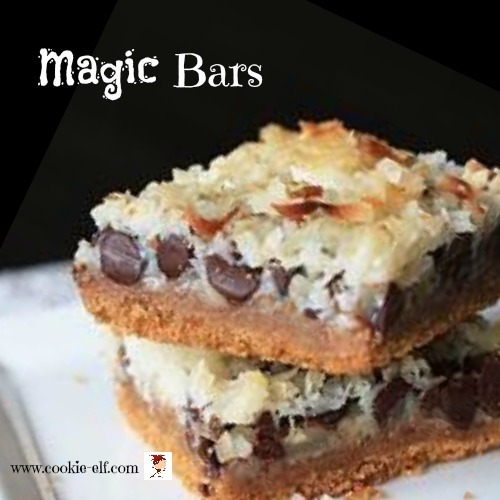 Try using salted nuts to balance the sweetness in the chocolate chips and coconut in Magic Bars. Choose cookie decorations to fit the occasion, whetherr it's a holiday, school colors, baby colors, bridal colors, or colors of your favorite team.